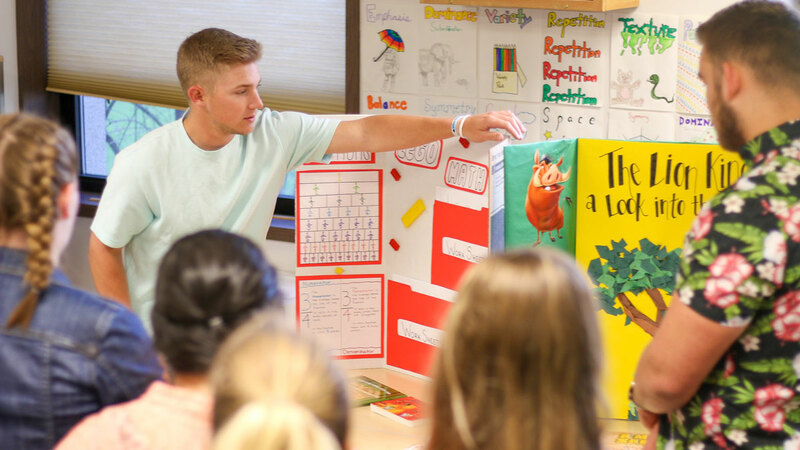 Our elementary education program prepares you to teach effectively in the many content areas required for elementary education, and also provides you with an essential understanding of child development and learner behavior. Our curriculum is carefully designed to set you up for success in the K-8 classroom setting. Pursuit of an elementary education degree requires acceptance into Carroll’s teacher education program. Review the requirements for a degree in elementary education. Beyond being highly prepared for the elementary age classroom in both the private and public school settings, opportunities are available in the fields of writing, editing, adminstration, ad counseling, as well as in the business field as a trainer or salesperson. Carroll will help you develop strong teaching skills that would aid in any profession for which education and training is required. Our curriculum is designed to develop the whole student. Students get many opportunities to experience the classroom and develop skills that will result in a job as a skilled professional.